Melissa McNeil serves against Texas A&M International University. 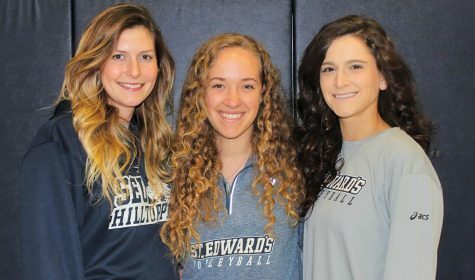 Two St. Edward’s volleyball players, Melissa McNeil and Morgan Beckham, were rewarded with individual Heartland Conference recognition in just the first month of the season. Beckham, who was recently awarded Heartland Conference Defensive Player of the Week, says she was surprised when she heard that she was recognized for her achievement, especially so early into the season. 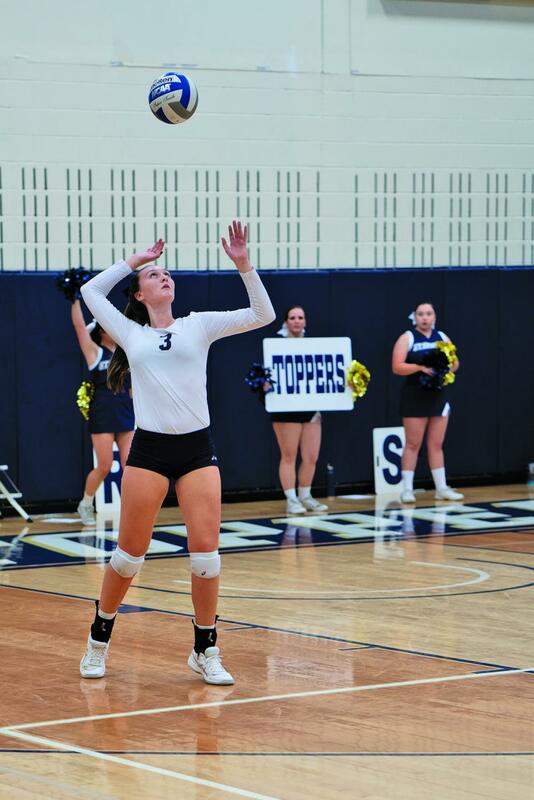 The senior libero then went on to say that she hopes her defensive presence can be felt on the court while also inspiring her teammates to always stay sharp against their opponents. As her last year as a member of the volleyball team begins, Beckham says that the relationships she has built through the program have meant a great deal to her and hopes to lead the team to victory the conference tournament; possibly even getting to the NCAA tournament. 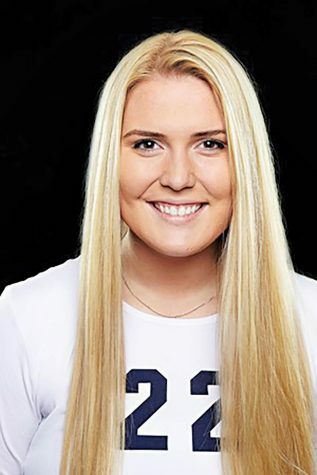 McNeil, sophomore outside hitter, was recently recognized as Heartland Conference Offensive Player of the Week and marks the first collegiate accolade she has received in her athletic career with the university. “I hope to get more,” McNeil said with confidence as she is determined to keep working hard towards more recognized excellence. 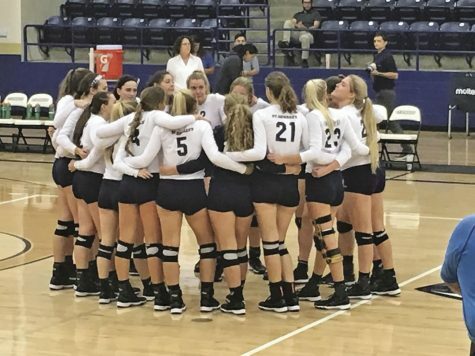 For McNeil, spending so much time with her teammates has been her favorite part and credits them for not only her overall improvement on the court but by also having a big impact on her off the court. 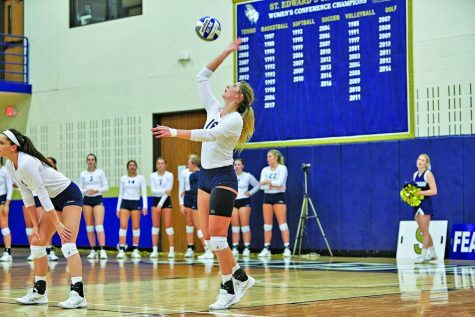 Stefanie Holler, the team’s head coach, says that the high-level play of these two has contributed to an encouraging 10-6 record in just the first month of the season. Holler also stated that she is proud of McNeil for her first conference recognition. Holler had similar praise for Beckham’s defensive efforts as a big part of the team’s early success. 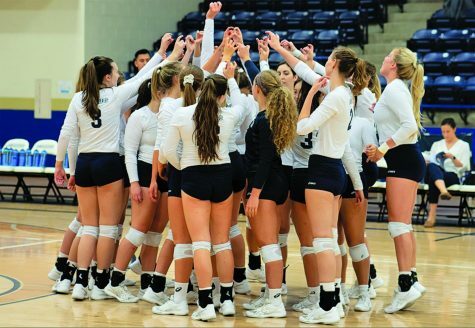 The volleyball team has their official home opener against conference rival Newman University Sept. 27 at 7 pm.